Nostalgia kicked in and decided to paint a portrait of Princess Serenity from Sailor Moon. You've sure got a lot of talent. I feel the nostalgia from this picture already. OMFG YAAAAAAY. two of my favorite styles coming into one. 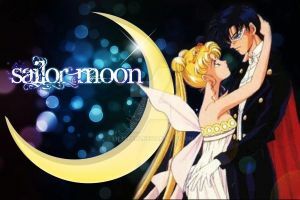 I love Sailor Moon, and all of your creations- thank you soooo much for gracing us with your work. I love basically everything you do anyways but this just stole my heart. Hnnngh <3 SO MUCH JOY FROM ONE PHOTO. The use of the light is AMAZING, and she looks so good in your style. beautiful and amazing painting ^^ is really perfect!! Beautiful. It's been a while since I don't see such a beautiful fan art. I love her expression, between tenderness and mischief. hehe. Wow! She looks divine like a Goddess. ...Very nicely done! 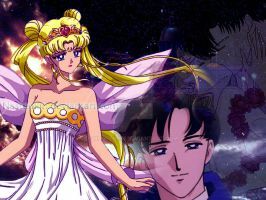 Reminds me a bit of Princess Serenity from the Moretsu Pirates series. ...Never showed a queen for that royal family, only the Princess & her younger sister. Just another phenomenal piece from you, good sir. The coloring and the use of lighting and shading continue to be absolutely fantastic. So nostalgic! 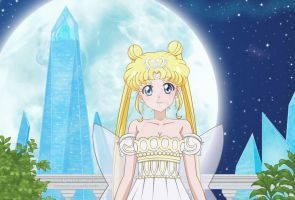 Especially as I started drawing because of Sailor Moon Love the style of your portrait! sad that nobody out there will ever gonna give such a tutorial on an extreme method and technique's like this. Amazing, you're making me want to re-watch! This is so stunning what software did you use to create this amazing artwork? Superb use of light, shadow, texture and composition. I am constantly impressed by your abilities as an artist.